One of the biggest events in terms of consumer spending in Australia is now here. As a savvy marketer, you know what that means – getting customers to show their love for each other with your products. 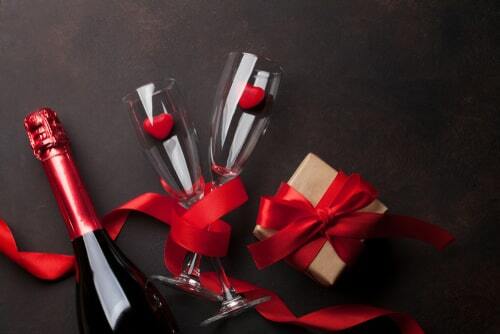 Australia’s love for Valentine’s Day looks set to continue this year too, with consumers expected to spend more than $900 million on gifts for February 14. Even though St. Valentine’s may seem shallow and completely made up – customer spending is very real and growing every year. The average Australian consumer is expected to spend $86 on their partner showering them with luxurious gifts likely to override the traditional confectionery and flower gifts. Those between the ages of 25-34 years are considered the biggest group of spenders. As a marketer, you should be taking advantage of this trend by promoting your small business to the right customers. This article provides information on some of the best Valentine’s Day marketing strategies for your small business. One important thing to remember is that not every type of product will benefit from this event. Some of the most common product groups to benefit from this situation are jewellery, clothing, flowers, travel, hotels, dining, candy, events, and greeting cards. If your business is in one of these categories, your sales are poised to spike even without much of a marketing effort on your part. However, even if your product doesn’t belong to one of these categories, you can still take advantage of the event by way of effectively promoting your products to the target customers. That is where our marketing strategies come in handy. In fact, the power of marketing can definitely reduce the trend of using candy and greeting cards as the ultimate gifts for Valentine’s Day. Here are some of the most effective strategies to market your products for Valentine’s Day. Many people find it hard to choose the right gift for their significant other. Also, most of them are already maxed out on gift ideas, especially after Christmas. On the other hand, there are couples who haven’t been living together long enough to know about each other’s passions. That is where your business can step in. You can make it easier for the customer to choose a gift from the products that you sell. For example, if you operate a bookstore, you can have a special shelf with books that are ideal as gift items. You can even divide the shelf into gift categories such as for romantics/amateurs, him/her, science fictions/those interested in politics, and books for game lovers. St. Valentine’s has traditionally been about secret admirers and anonymity. Even though times have changed, romance isn’t completely dead. You may find customers in your audience who still require such a service. There might be customers who want to anonymously care for someone or show what love is to their crush. You should take advantage of this group of customers by offering an anonymous gift delivering service. On the other hand, gift wrapping is something that not everyone can do. Gift wrapping may take forever for some people. Also, with Christmas just over, most people are tired of doing it. Besides, people love to avail themselves for whatever is offered for free. It will bring you sales without much work on your part. If you own a restaurant, beauty salon or gym, you should consider offering a free service to the loved one of your customer. This strategy will help you to attract new clients that will continue to visit your place over and over in the future. Your business will benefit for many years to come with this type of marketing strategy. 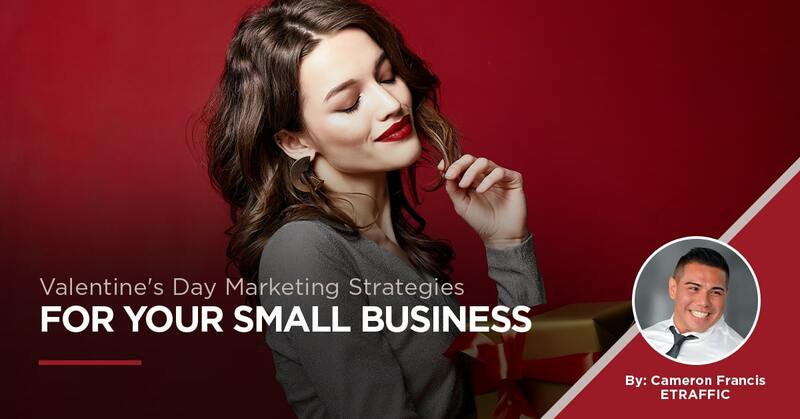 These are some of the most effective marketing strategies to promote your small business on this special day. If you are looking to generate more sales with some fresh marketing strategies over Valentine’s Day, and not sure where to start, book in a free strategy session with one of our business growth specialists today.